This office building sits along Closner Boulevard, a high traffic street that goes thru the center of Edinburg north and south. 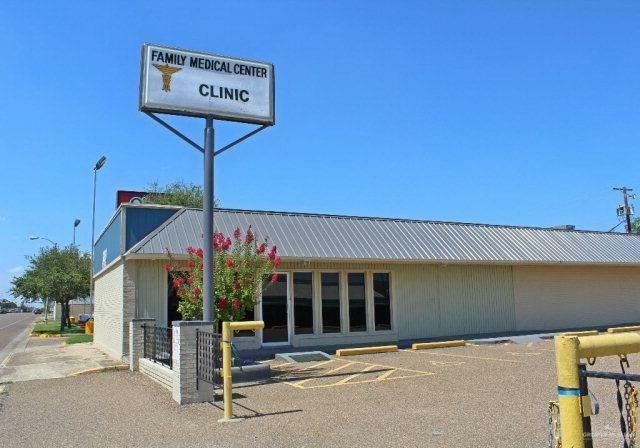 A few uses for this well kept commercial property include a dentist office, doctors office, attorney office or an insurance office. The possibilities are endless. The building has eight rooms plus a large lobby area, a nice size enclosed reception area, five bathrooms, a break room along with an extra large room with plenty of cabinet space! spacious parking lot! This building was made to last when they used cinder blocks and steel beams in the construction of this building.